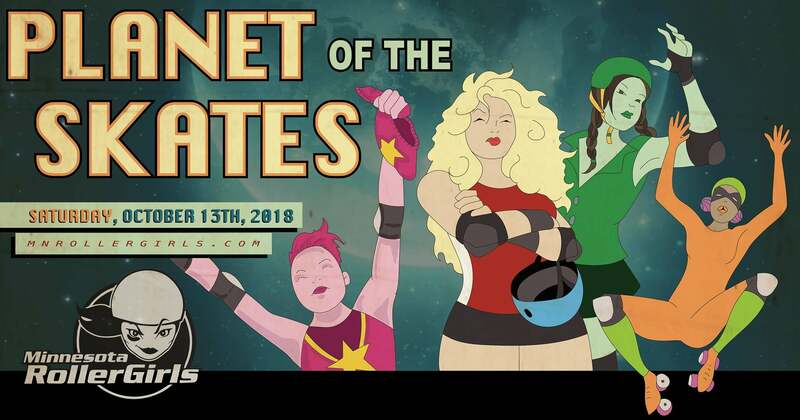 SAINT PAUL, MINN. - The Minnesota RollerGirls (MNRG) will kick off their 15th season on Saturday, Oct. 13 at 7 p.m. in The Legendary Roy Wilkins Auditorium. Come see the 18th ranked roller derby league in the world compete in a round-robin mini tournament in downtown Saint Paul. Keeping with tradition, this game showcases new rookie skaters who have been training all summer. In honor of MNRG's 15th anniversary, a new award will be rolled out this season, titled "The Season 15 Crystal Skater". This award will be presented to a roller derby athlete whose hard work on and off the track is representative of the MNRG commitment to the sport and community. This year's season-long charitable beneficiary is the Ann Bancroft Foundation's Let Me Play Grant, which funds athletic and dance equipment or participation fees for girls ages 5 through high school graduation. The October bout charity and door charity is the Rebecca Foundation, which is a non-profit cloth diaper lending program with local chapters across the United States, Canada and Mexico. Fans are encouraged to bring a cotton t-shirt to support the Rebecca Foundation and receive $2 off the ticket price. Doors open at 6 p.m. The first 200 fans to arrive will receive a limited edition t-shirt. Get there early for a pre-show bout featuring Hungry, Hungry RollerGirls: a fun take on the game Hungry, Hungry Hippos, featuring MNRG skaters. Half-time live performances will feature the St. Paul School of Rock Allstars. After the bout, join the Minnesota RollerGirls for the official after party at Camp Bar in Saint Paul. General admission tickets to the event are $15 in advance/$17 at the door. Tickets are available at the Roy Wilkins Auditorium Box Office and Ticketmaster.com or by calling 800-745-3000. Children nine and under receive free general admission. Visit mnrollergirls.com for more details.